Just got back from a beautiful week in sunny Jamaica - the gluten free choices were limited & I wished I'd taken more supplies with me, but it's amazing how inventive you can be when you have to be! Had a fantastic meal at Zimbali near Negril (www.zimbaliretreats.com) where Chefs OJ & Chris are masters at GF cooking. Zimbali has an amazing organic farm - growing their own avocados, starfruit, bananas, tomatoes and a whole host of other things. Came back with lots of recipes to share, so will write them up and post next week along with all my holiday pictures. 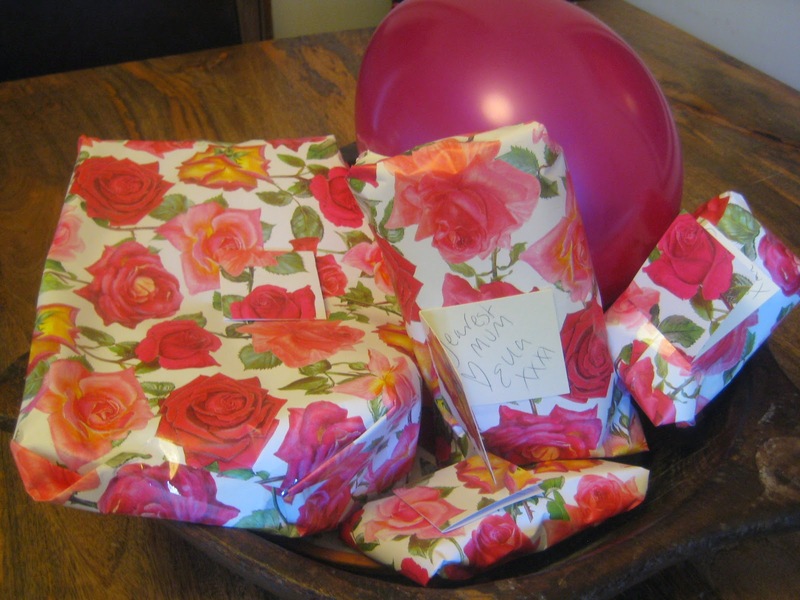 Anyway - back to today's recipe - its my mum's birthday tomorrow ! This is probably my favourite recipe on the blog - and I've re hashed it for the new year to make it dairy free. There is no refined sugar in the muffins (they are sweetened with maple syrup). When I make them I never usually ice them...........but it's a birthday celebration so thought I'd go crazy ;) leave it up to you how or if you decorate them. Usually I find sugar free cakes/muffins to be dense & heavy, but these are light & delicious. Unsweetened cocoa powder & beetroots are both packed with nutrients from Iron, folic acid, magnesium, potassium....to name but a few things, so these are healthier, naturally sweet & completely delicious. 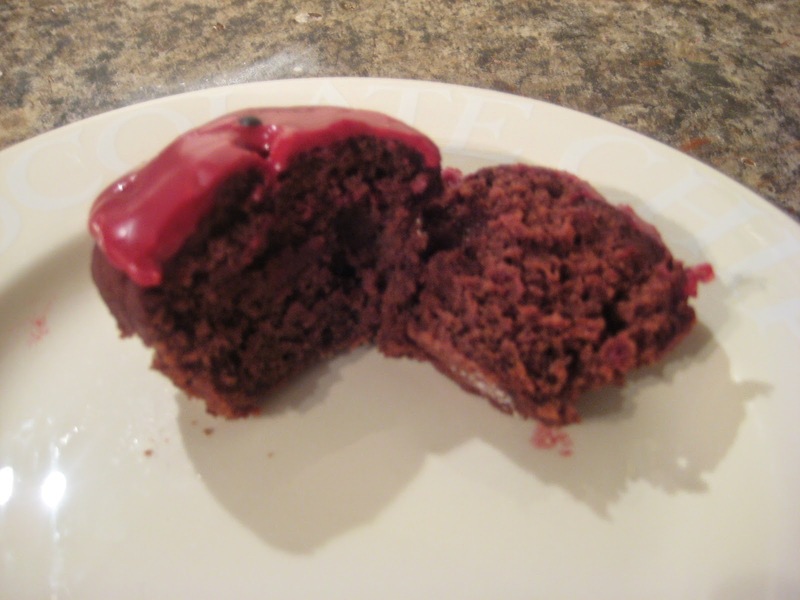 If you are adding icing, then save some of the coloured juice from the beetroot packet to make the pink icing. 2 simply blitz all the ingredients together in a blender. 3 pour into muffin cases & bake for around 20- 25 mins in the oven (I did these for exactly 23 mins), until they are firm to the touch & a skewer comes out clean. I iced the muffins (as it's a special occaision! - but if you want to make them sugar free just leave them plain - or as my friend Shara did - top with whipped cream. I wanted these to be dairy free, so haven't tried that! mix 2 tablespoons icing sugar with some of the beetroot juice you saved from the packet (or just water if you didn't use a packet). and spread over the muffins. a note on Eggs. Eggs are one of the foods I could not tolerate at all without being desperately ill. I'm now ok with Duck eggs or quail eggs, but still can't tolerate chicken's eggs , so if you are unable to eat chicken's eggs, it might be worth experimenting with other types of eggs. Looks scrumptious. Hope you've saved some for nest Sat!